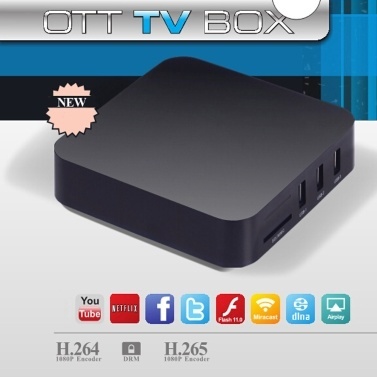 This Android TV Box is based on Android 4.4, Quad-core, 1G DDR3, 8GB Nand flash. 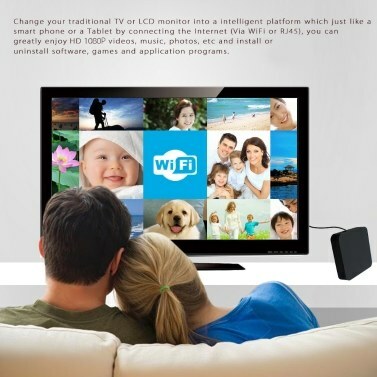 Once connected to the HDMI interface of TV, it will converts the regular TV into a Smart TV which works like a giant tablet. 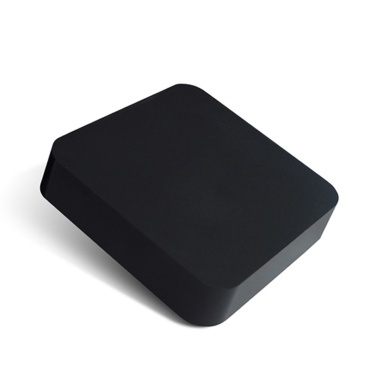 Android 4.4, Amlogic S805 Quad core, Quad-Core Mali-450 GPU. 1G DDR3, 8GB Nand flash, support H.265 video decoding and output. 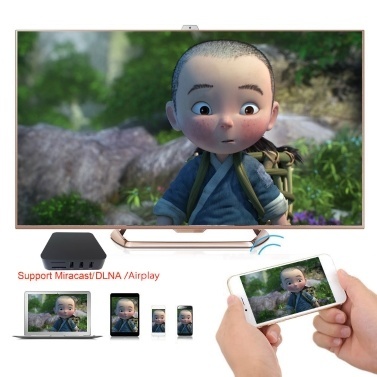 Support Miracast, AirPlay and DLNA. 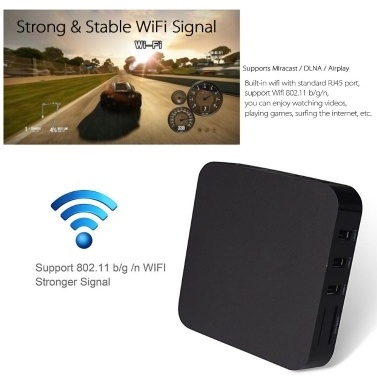 Built-in wifi with standard RJ45 port, support Wifi 802.11 b/g/n, you can enjoy watching videos, playing games, surfing the internet, etc. 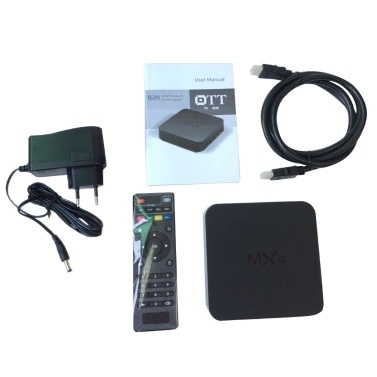 Equipped with HD cable and remote control.